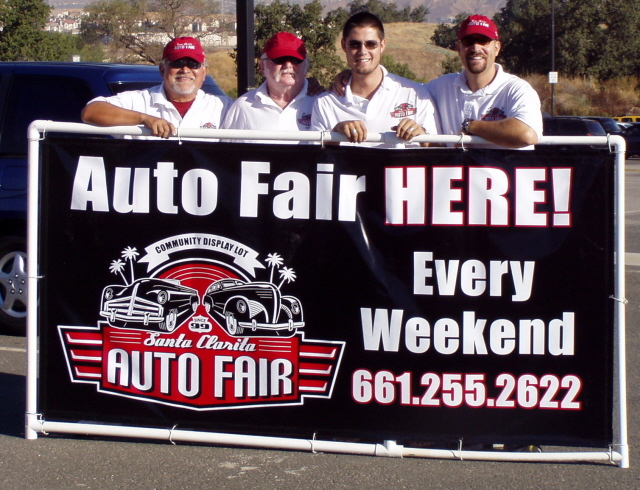 "Where Buyers and Sellers Come Together"
We began the Santa Clarita Auto Fair Display Lot and website in 1999. Along with building an effective website where private-parties may advertise their vehicles, we saw the need for a safe, mutual meeting place where buyers and sellers could meet and discuss the terms of the sale, without the neccesity of opening their homes to strangers. This method has not only proven to be a safety mechanism for the public, but an effective way to get the for-sale vehicles seen, first-hand, by hundreds of potential buyers. It has also served to help clean-up city streets and parking lots of abandoned for-sale vehicles. You will find our site simple and easy to navigate. We chose not to include a lot of frills that may take away from the simplicity of finding a vehicle that is right for you. Enjoy, and please feel free to contact us with any comments or suggestions you may have to improve our site.